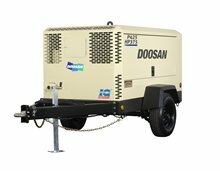 Doosan Portable Power compressors provide efficient and reliable power, day after day. 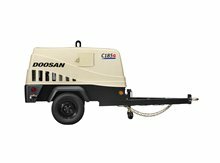 The new C185WDZ T4F portable air compressor is the industry leader in serviceability, durability, and convince, all available within your budget. All aspects of the C185WDZ have been designed to save you time and money-from the conveniently located toolbox to its full access canopy. 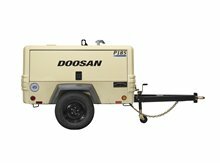 Doosan Portable Power’s C185 WDZ is the answer to your compressor needs. 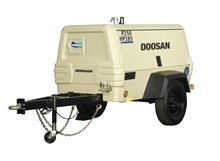 The P250/HP185WDZ-T4F portable air compressor from Doosan Portable Power is ideal for countless applications. The P250/HP185WDZ produces 250 cfm at 100 psi or 185 cfm at 150 psi, making it the perfect portable air compressor for sandblasting, construction, or pneumatic tool operation. The compact design and versatility of the P250/HP185WDZ make it a natural choice for any job or worksite.